PEACHY KEEN FOR ANOTHER NEW FLAVOUR? Oh hello summer. We’re coming in hot with another new flavour. Get your phone ready to snap a selfie cause this little number is pretty as a… PEACH and it’s dropped across Australia via every 7-Eleven store, stacks of independent supermarkets, grocers and cafes and of course our very own online store for delivery to your door. We’re channelling summer vibes with this one, big time. It’s delicately luscious, fizzy and refreshing, pairing the real taste of ripe peach with just the right balance of sweet and sour. Of course, it’s also guilt free, full of goodness aaaand tasty as all get out. 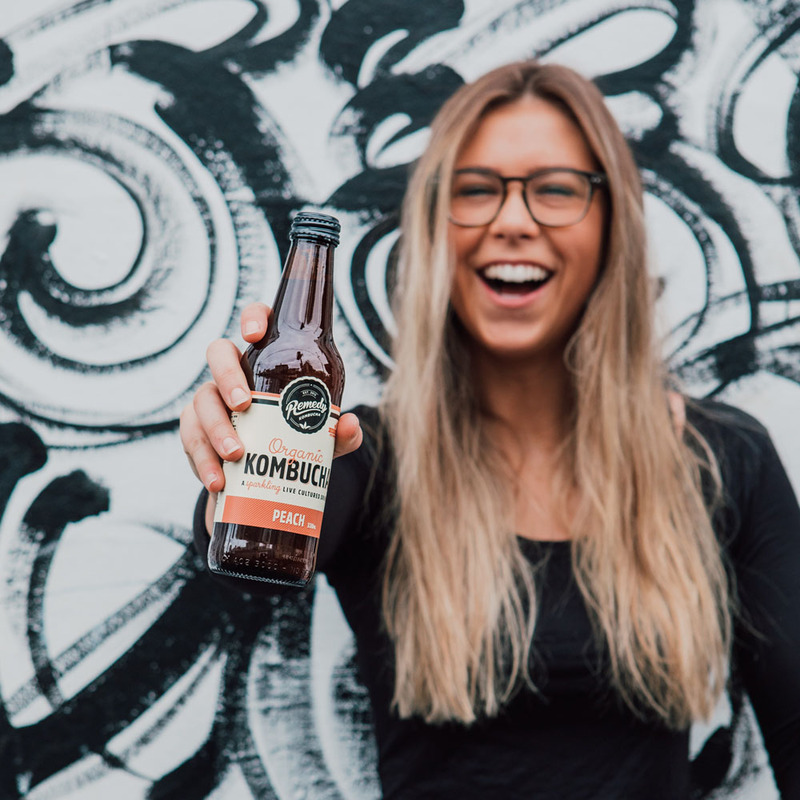 Remedy Kombucha Peach is I Quit Sugar approved and is full of goodness in the form of live cultures, organic acids and antioxidants. Go on! Pop a bottle. Snap a pic. Post a vid. As always, we’d love to hear what you think. * UK & NZ mates, don’t despair! We are working on getting some PEACHy keen goodness to you too, real soon peachy pinky swear!